A website can improve the Corporate Image of your Company/firm. Develops the Confidence of the valuable Customers. Develops a Secured Brand Name for your Business. Develops & Promote Sales / Business. Dynamic Drive DHTML code library. The Official Clock of the World Chess Federation - FIDE. Extra up count timing method makes it ideal for other board games. Bronstein delay with multiple time controls can be set. Grinfos offers most economic Web designing and hosting plans, to fulfill your needs and expectations. For full Featured Websites with an economical investment, with DHTML, Photoshop, Flash, Java Script, & Dream weaver, contact Greig Info Systems. Chess Association Kollam organized Kollam District Chess Championship-2017 in association with YMCA Kollam, on 13th to 15th Jan. 2018 at YMCA Hall, Kollam. 11 year old AGM. Jubin Jimmy won the Kollam District Senior Chess Championship for the year 2018, held at YMCA Hall, Kollam, on 13th to 15th January 2018. He is the only AGM from Kerala. Mr. Jimmy Joseph & Mrs. Jayamma Jimmy (ESI, Asramam, Kollam) residents of Twins Villa, 117 - Sree Bhadra Nagar, Uliyakkovil, Kollam are his parents. 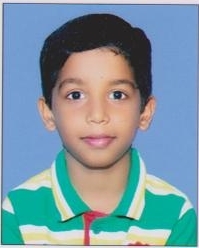 He is studying at Infant Jesus Anglo Indian Higher Secondary School, Thangassery, Kollam in 5th standard. He won Adv. Sadasivan Nair Memorial Roiling Trophy & Rs 2800/- Cash Prize. The Trophy & Cash Prize was sponsored by Mr. Sreekumar SM, General Secretary, Chess Association Kollam. Chess Association Kollam organized Kollam District Chess Championship-2017 in association with YMCA Kollam, on 13th to 15th Jan. 2017 at YMCA Hall, Kollam. 11 year old AGM. Jubin Jimmy won the Kollam District Senior Chess Championship for the year 2017, held at YMCA Hall, Kollam, on 13th to 15th January 2017. He is the only AGM from Kerala. Mr. Jimmy Joseph & Mrs. Jayamma Jimmy (ESI, Asramam, Kollam) residents of Twins Villa, 117 - Sree Bhadra Nagar, Uliyakkovil, Kollam are his parents. He is studying at Infant Jesus Anglo Indian Higher Secondary School, Thangassery, Kollam in 5th standard. He won Adv. Sadasivan Nair Memorial Roiling Trophy & Rs 2800/- Cash Prize. The Trophy & Cash Prize was sponsored by Sreekumar SM, General Secretary, Chess Association Kollam. Saturdays at YMCA Hall, Kollam. Next Monthly Open Chess Tournament 11th August 2018. Time Control 15 Min. + 10 Sec. Increment for each move. Result of the Monthly Tournament on 09th June 2018.